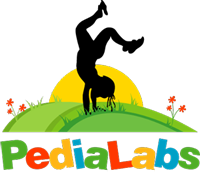 PediaLabs, LLC offers several services provided in the comfort of your home and at your convenience. Pediatric blood draws are for patients 18 years and younger. For the younger patients, it may require a little more assistance from the parents/guardians. A routine blood draw has normal processing and the results are not requested by the physician with priority resulting. Specimen pick ups are performed when a patient has collected samples and needs the samples delivered to the lab. When picked up we verify specimen requirements, patient information, and patient labeling. Fingerstick testing performed to help monitor levels for patients suffering from diabetes. The testing can also be used during the yearly blood work screening of some insurance companies. Glucose testing is performed via fingerstick and can be paired with the cholesterol. Cholesterol testing is performed via fingerstick and provides a basic reading for cholesterol testing. This testing can also be used during the yearly blood work screening for insurance companies. Newborn Screening is performed by cutting a small incision in a baby’s heel with a lancet. It is normally performed on infants 5 to 10 days old. The test can be performed up to 1 year of age through a venous blood draw. Blood draws collected and sent to specialty labs. These samples are normally sent out the same day and are received by various laboratories across the country.